She said yes to her boyfriend of six years. 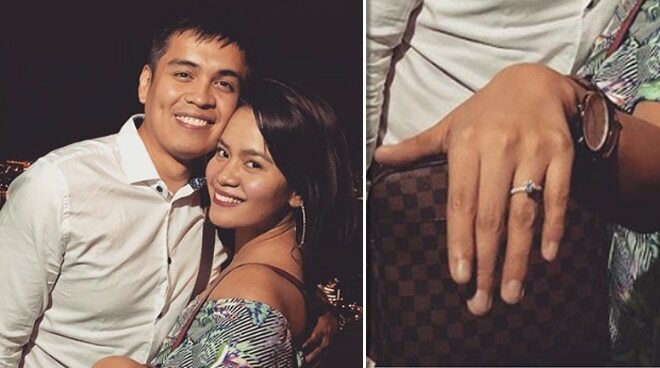 Czarina Marie Balba, or most commonly known as DJ Chacha of MOR 101.9, said yes to her non-showbiz boyfriend after he popped the question to her during a vacation in Bangkok. The proposal, which happened over a romantic dinner atop a Sky Bar with an overlooking view of the city, DJ Chacha couldn't contain her happiness over her engagement with Michael Guevara who happens to be a businessman as well. DJ Chacha has a daughter from her previous relationship named Saab. Known for her radio segment called Heartbeats, DJ Chacha also entered the PBB House as part of the Celebrity Edition of Pinoy Big Brother 7.